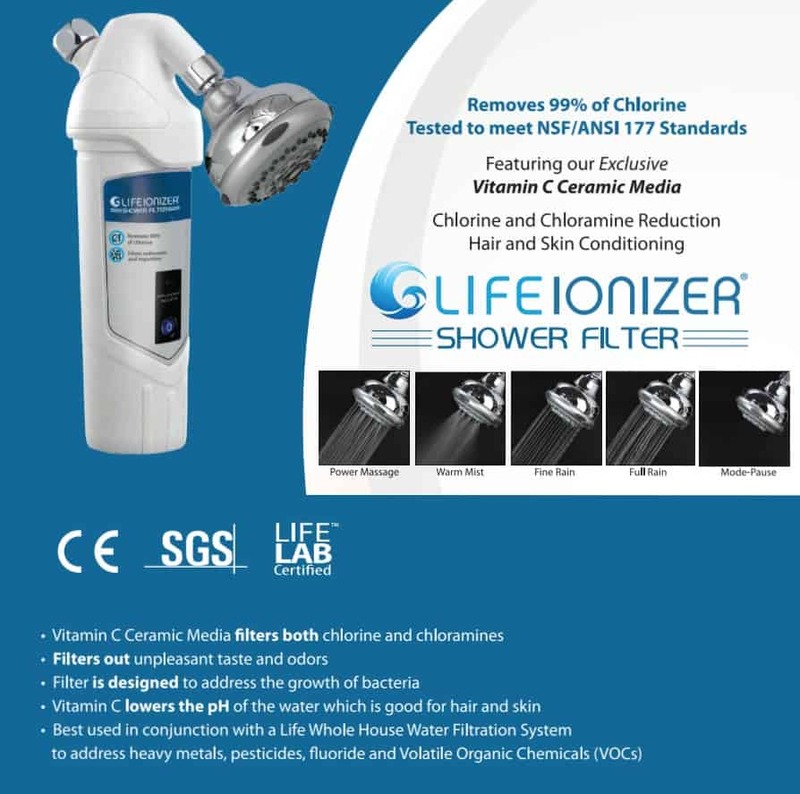 Life Ionizers® new 2018 shower filters feature Advanced KDF Filtration Technology plus laboratory-grade Vitamin C Ceramic Ball Chlorine Reduction Technology™. Our KDF is tested to meet NSF/ANSI 177 standards to address heavy metals, pesticides, fluoride and Volatile Organic Chemicals (VOCs). 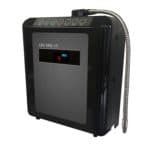 Removing the chlorine in your shower water has important benefits: in the shower, chlorine is released from hot water, so it can build of chlorine vapor can be inhaled. 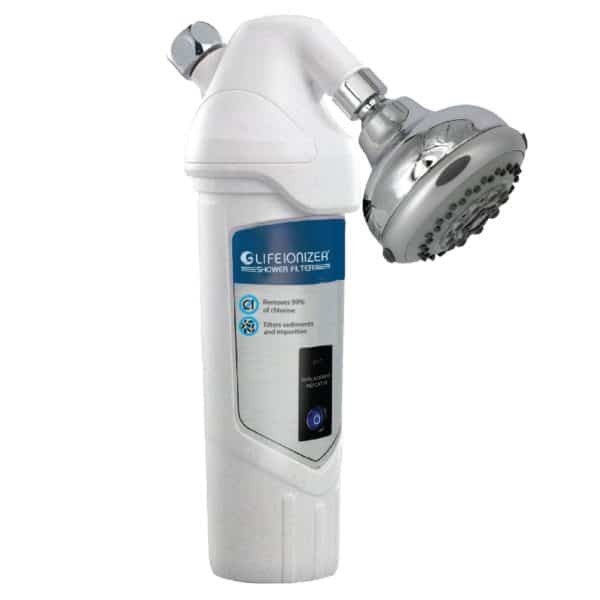 Plus reduced chlorine means softer, shinier hair, softer skin, and it protects your health from chlorine vapor. Plus our Vitamin C Filter Technology lowers the pH of your water as skin and hair need slightly acidic water for proper care. 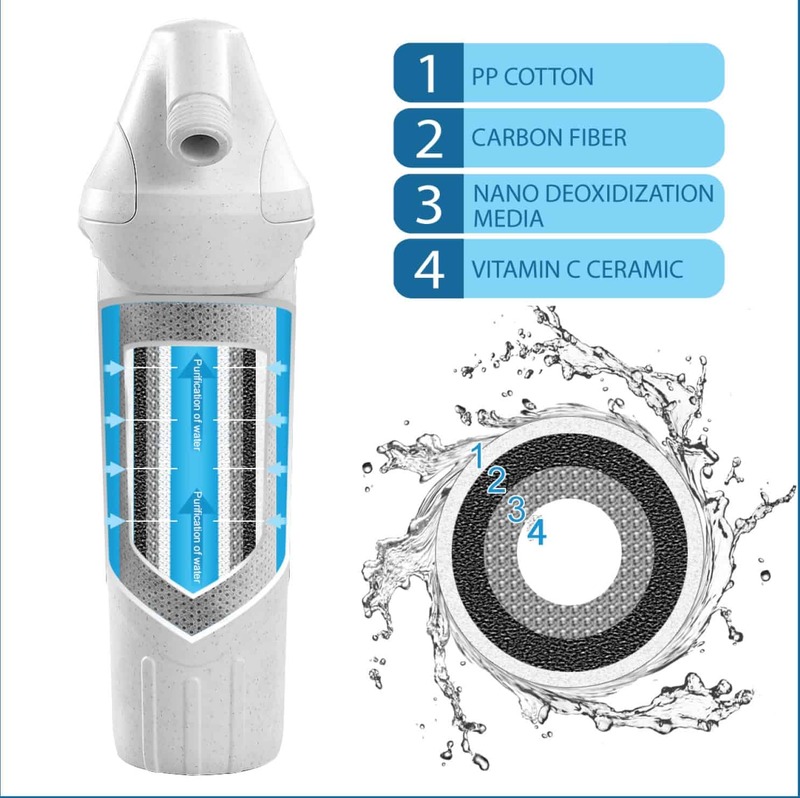 Life’s Shower Filter™ also addresses chloramines in your water with our Vitamin C Ceramic Block Filtration Technology™. Most competing shower filters don’t have Vitamin C Technology, so they only filter chlorine, and not chloramines. Register your Lifetime Warranty HERE after purchase! 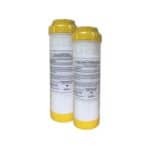 Sign up for replacement filter auto-ship, receive your filters on time, every time. 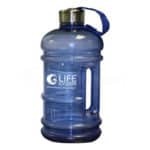 Normally priced at $44.97, only $39.97 & free shipping on autoship!